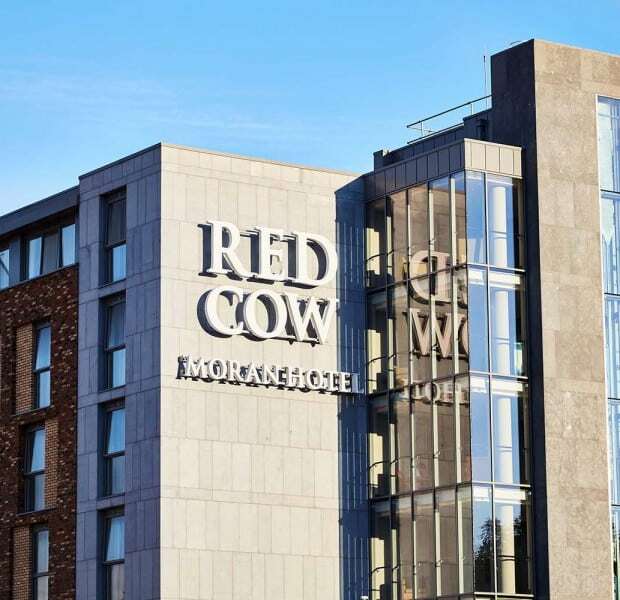 Red Cow Moran Hotel Expansion – Duggan Brothers Ltd.
Duggan Brothers have commenced works to expand the Red Cow Moran Hotel, following on from its previous expansion works. The original hotel was built by Duggan Brothers circa 1996. The modifications will include the construction of two additional storeys above the existing hotel wing. The hotel is convenient to all of Dublin’s main tourist attractions and boasts 275 executive style bedrooms, 21 event spaces, a choice of bars/ restaurants and a state of the art fitness suite. The hotel is ideally situated on the Naas Road just off of the M50 & the N7, close to Dublin City Centre, Dublin Airport, Heuston and Connolly train stations. The expansion will facilitate an additional 40 hotel bedrooms, and north/south/east facing balconies and terraces. Revisions to the existing façade will accommodate the additional floors, significant upgrade and extension works to existing lifts and provisions of fire fighting equipment to all floors will be completed, along with minor isolated alterations to the existing hotel complex. The above revisions will result in a net increase in gross floor area of hotel accommodation by 1780 sq.m.